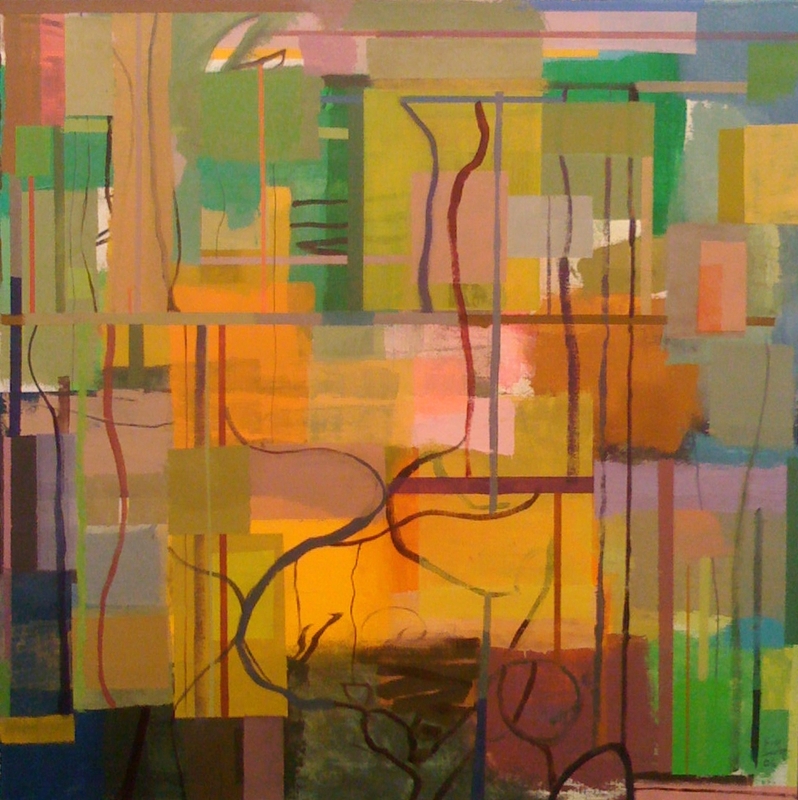 The Painting Center is pleased to announce an invitational exhibition of paintings entitled Color Key. Patrick Webb selected 22 artists from The Painting Center Artist Registry. Artists include: Caren Canier, David Carbone, Pamela Cardwell, Dennis Congdon, Susan Cottle, Mary Jane Duffy, Iona Fromboluti, Cora Jane Glasser, Nancy Grimes, Jane Haimes, Blinn Jacobs, Ginger Levant, Susan Lichtman, Irene Lipton, Jim McElhinney, Margaret Neill, Langdon Quin, Celia Reisman, Bill Scott, Mariam Stephan, Kimberly Trowbridge and Forrest Williams. 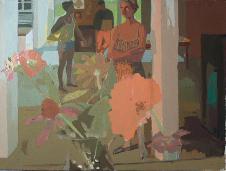 The curator writes in his Notes on Color Key, “In thinking about this invitational I initially intended to explore only a fairly conventional idea of color key in which the overall color tone of a painting sets a tone. It is an idea that is particularly present in landscape painting where the unity of the light colors the entire palette. However while walking through the Museum of Modern Art I began to reflect on how in the early part of the 20th century color harmony, like that of music, began to expand. So I have decided in my selection of paintings to explore how color harmony directs the viewer towards meaning. I choose to begin my notes with a series of definitions of the word key taken from the Webster’s dictionary (emphases are mine). Keyn 1 a) usu. metal instrument by which a bolt of a lock is turned, b) any of various forms and devices having the function of such a device; 2 a) means of gaining or preventing entrance possession or control; 3 a) something that gives an explanation or supplies a solution; b) a map legend; 4 a) a keystone in a arch; 5 a) system of seven tones based on their relationship to tonic, specific, the tonality of a scale; 6 a) the characteristic style or tone; strain adjof basic importance, Fundamental.